Wearable technology devices could be set to revitalise the role of physical retail stores, according to a new report from digital commerce solutions provider Venda, conducted by YouGov. The Wearable Technology: The High Street’s Secret Weapon?report polls the views of 2,043 UK adults on their attitudes toward the new technology. It shows these devices have the ability to market to consumers and encourage purchases when shopping on the high street – via location based promotions, in-store mapping and exclusive in-store offers – at a time when shop vacancy rates reaching a 10-year high and retail sales failing to reach pre-recession levels. Even before the public availability of Google Glass has been confirmed, the report reveals 28% would use the wearable technology to access in-store promotions and 27% would also like to be kept informed of local offers via the device. The ability of wearable technology to improve the customer journey at all stages of the shopping cycle, informing consumers of available products and where they can be found on the high street, means shoppers can easily be guided to their desired items in-store, to ultimately drive footfall and sales, claims Venda. The report found over a third of UK consumers would use Google Glass to plan their shopping routes and 27% would use the technology to search for available stock and product ideas to purchase while in-store – rising to 45% for 18-24 year olds. More than one in five consumers (22%) said they would like to be able to unlock additional offers and promotions, via digital screens such as billboards or store window displays, highlighting Google Glass’s ability to harness impulse buys through instant offers. Additionally, the results reveal 16% of consumers would be more likely to update social networks when wearing Google Glass with the retail products they like. Given the rise of social advertising and importance of social endorsement for brands, Google Glass can potentially extend the reach and ‘like’ of products via social networks. In this way wearable technology will also play a pivotal role in building brand awareness for retailers and drive further engagement on social platforms, claim researchers. As retailers continue to struggle with the concept of showrooming, the arrival of wearable technology will further encourage the surge in this practice, said Venda. As consumers increasingly head to shops to inspect goods ahead of making a purchasing decision, while simultaneously checking product details online, such as price comparisons and reviews, this trend is set to rise when devices such as Google Glass hit the market. However, the results show any moves by retailers to prevent the use of this technology in-store will be negatively received by consumers. In fact, 28% felt retailers should not be allowed to ban the use of Google Glass when shopping and 52% felt retailers would have something to hide, such as negative product reviews, if they were not allowed to use Google Glass in store. Additionally, 59% of Glass advocates felt they should be able to wear what they like when they go shopping, regardless of whether they choose to wear technology like Google Glass or not. The results indicate retailers must encourage the use and adoption of Google Glass to capitalise on the benefits it presents, or risk a backlash from a significant percentage of consumers who would feel they have something to hide, said Venda. In fact, 47% of the consumers who said retailers should allow customers to wear Glass in-store felt that retailers should be thinking of ways to use Glass to enhance the customer shopping experience. “Wearable technology has been identified as a potential driving force for the high street’s renaissance. With this technology, margins can be preserved and conversion optimised by offering the right offer to the right customer at the right time in a personalised way. Consumers will choose to adopt the technology if and when retailers clearly articulate the benefits for them,” said Abensur. Despite the potential advantages Google Glass offers retailers, 79% of UK adults said they would feel a degree of embarrassment using the wearable technology – a viewpoint more pronounced by women (82%). A small percentage of consumers are concerned about whether Google Glass looks good on them or not (14%), but 29% feel Glass would be awkward for them to wear and 24% would think the device would confuse others who are unfamiliar with the technology. However 13% also stated they wouldn’t feel embarrassed if they only put them on inside shops rather than walking between stores. Although it is yet to debut in the UK, 19% of UK consumers expressed fears Google Glass would attract unwanted attention and felt the devices might be the target of theft, because others could easily see they have a valuable high-tech item. 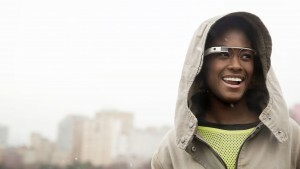 These results show retailers and businesses wishing to take advantage of Google Glass need to openly advocate the use of wearable technology and create separate marketing strategies for them, in order to move Glass away from being a novelty item, to an essential everyday device which offers them benefits, said Venda. Abensur said: “Google transformed the e-commerce space and is now set to do the same for retailers with bricks and mortar stores. While retailers may be reluctant to embrace the technology, due to concerns it will spur the growth of high street show rooming, they need to accept that this trend cannot be avoided. “However it is not something that should be feared and there is no reason to assume that the high street will become redundant as this type of technology becomes ubiquitous. In fact, our research clearly shows there is an appetite among consumers for this type of technology in-store and where there is appetite there is also opportunity.